Paleo diet weight loss – I know some of you have been waiting for this and want to know more about this, so here it is. For some of you, this may be the most interesting or valuable part of the Paleo diet education series. Feel free to watch the video on Paleo diet weight loss below or read the post. With all the Paleo diet craze, all the talk about it being healthy, and how it helps prevent and even clear up some forms of serious ailments, let us now look into the science behind Paleo diet weight loss. Of course, I am telling you now, the Paleo diet DOES help with weight loss. Then again, I know you wouldn’t take my word for it, because there have been so many types of diets that have been commercialized, popularized and magnified in the past, all claiming to help you lose weight but not very many living up to their claim. So, I challenge you to discover, uncover and ultimately understand the Paleo diet and how it will help you lose weight if you do get on it and follow it. So first of all, as always, before getting to “Why Paleo Diet Weight Loss Works”, let's review some key points about this diet. The basic premise of the caveman diet is that our genetic makeup has not changed significantly over the past 40 thousand years, and therefore, our bodies have not fully adapted to the modern, processed and highly unnatural food items that are available in abundance nowadays. Therefore, the best way to help our body is to maintain hunter-gatherer feeding patterns and habits. That means, to eat only fresh, raw and/or organic food types such as wild-caught fish, game meat, fresh vegetables, fruits and nuts, and to stay away from all types of processed carbohydrates such as grains, starches, refined sugars and bread. There is a comprehensive Paleo diet food list that you can check out learn more about. Or, alternatively you can get the more concise Paleo diet guidelines. Paleo diet enthusiasts assert that eating processed food or food items that are beyond man’s evolutionary metabolic background are significant causes of chronic diseases in the modern world. Modern eating habits permeate debilitating diseases like diabetes, hypertension, heart disease, and obesity. Although the main contention of the caveman diet is adopting a healthier lifestyle, its followers are obviously also hyped about its weight loss promoting characteristics. It turns out that the hunter-gatherer diet involves more amounts of protein, with significantly lower carbohydrate content compared to the usual diet of modern man. These days, foods with a high glycemic index, which promote fat deposition (i.e. weight gain), are basically the great majority of the food we put in our mouth. Types of food that are made from refined sugar, burgers, refined grain products like white rice and “white” (non-whole grain) pasta, potatoes and the like, all take the spotlight in every meal of modern day man (and woman). When digested, these food items, which are also known as “fast carbs”, trigger the release of high amounts of insulin in the blood. And, they are digested very fast. In fact, too fast, that as soon as they are completely digested, insulin levels remain high in the blood. The combination of all that makes you feel hungry again faster, and therefore, eat more or rather snack more. Incidentally, Paleo diet weight loss occurs just by sticking to natural food sources. When you exclusively consume unprocessed, raw and organic food choices, you will be able to steer clear from all those high-glycemic index products effectively. And because the Paleo diet is mainly comprised of very high protein content food types, your stomach will feel full quicker. In addition and more importantly, high protein content food requires a higher metabolic rate to digest. There are many intelligently written diet and weight loss books out there that very clearly explain the science behind why eating more protein contributes to a higher metabolism and consequently, greater fat and calorie burning! This whole thing about being on high-protein diets and eating more to actually lose weight, does sound and feel counter-intuitive, but it is a fact. In fact, research has shown that when on these kinds of high protein diets, if you know what to eat and how to eat, you can actually eat more, and that combination results in greater calorie and fat burn! Crazy isn't it? This is essentially how Paleo diet followers have experienced significant weight loss after only a few months of beginning the diet. 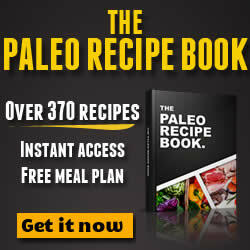 If you combine the Paleo diet with a regular exercise schedule – even better! You probably will be amazed (just as I was) at how quickly you can experience weight loss with the Paleo diet. Finally, as I’ve said in one of my posts in this Paleo diet education series, the best thing about any Paleo diet weight loss program is, how simple it is to follow. There are no calories or grams to be calculated. Just keep your food choices 100% natural and you will be looking and feeling 100% great as well! Hope this helped explain a little of why and how Paleo diet weight loss works. Feel free to comment, add your perspective or ask questions. I have been looking for this kind of ideas recently. This would surely be a big help for me as I am having my diet as well as regular exercise. Thanks for sharing this one.! You’re welcome Earl. Good luck with it! I CrossFit on average 5 times per week, eat a paleo diet full of awesome fats, protein and vegetables. My only sugar comes from strawberries or blueberries. NO grains. I have not changed in the slightest way since I started doing this 8 months ago. Even if I ate like crap, I would have lost weight working out the way I do – not have put on 15. I understand that its probably mostly muscle, but I should be defined. I have absolutely ZERO muscle definition; I just look big. I’ve had countless blood tests and the only things that came up were higher than normal Iron and very little estrogen. Is there something physiologically wrong? Hello Clare, thanks so much for taking the time to honestly and openly share your questions and (if I am right) frustration with this whole “journey of creating the body you want”. I share your frustration as I too have had challenges in this area. Although I’ve not had to deal with issues of not having toned and defined muscles, I have had challenges in other areas which inevitably lead to the same thing – wanting to create a certain result with regards to my body. I must be honest, I was quite moved by firstly the frustration that was apparent in your post and by your openness to share so that you can learn and also so that others may benefit. As a result, in trying to stay with that intention, I have begun creating a whole post dedicated purely to what you shared. It’s almost complete, just bits of research and fine tuning to do, and perhaps a video to finish up. I’ll post it as soon as it’s done. Thank you for your patience. But really, thank you for sharing and for inspiring me to create the post I’m about share. You’re awesome because so many more will benefit from it! P.S – I’ll hit you with an email as soon as I post it.